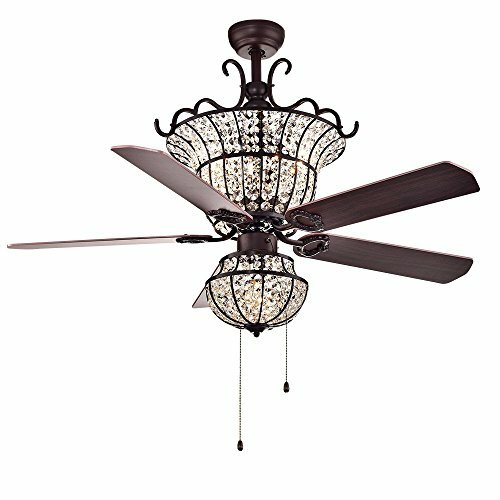 Give your home the glamour and artistic allure you deserve with this chandelier ceiling fan. 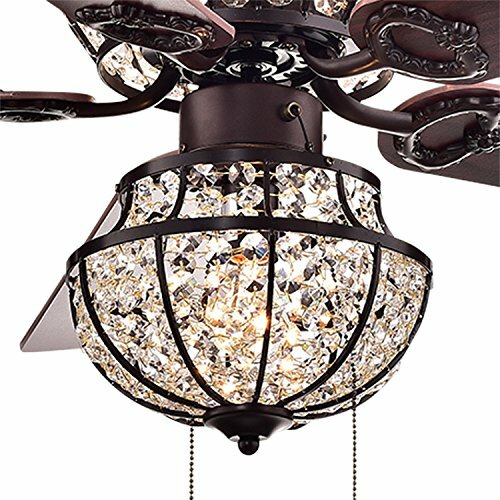 The combination of antique bronze, high quality clear crystals, and stained real wood blades delivers a sophisticated and elegant addition to any space. 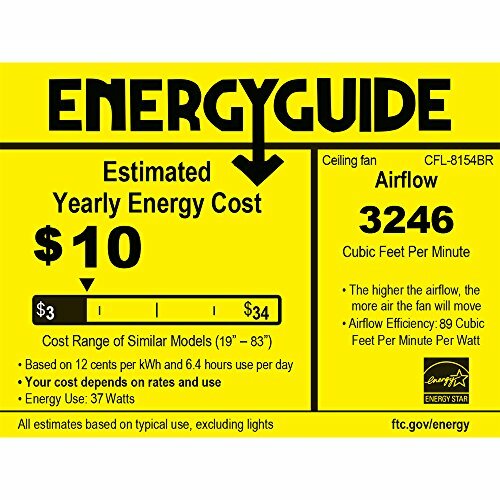 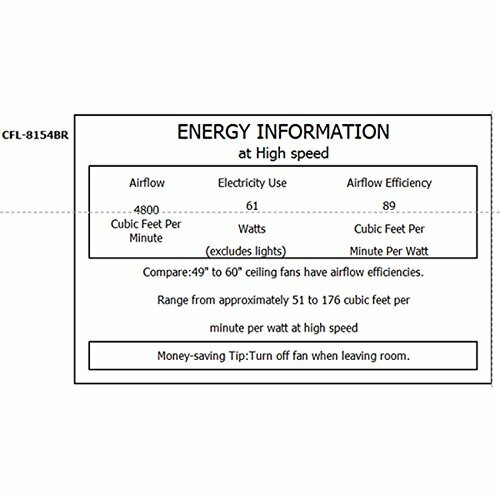 Our dependable and quiet fan motor used in all our high quality ceiling fans offer three speed settings to keep you perfectly cooled. 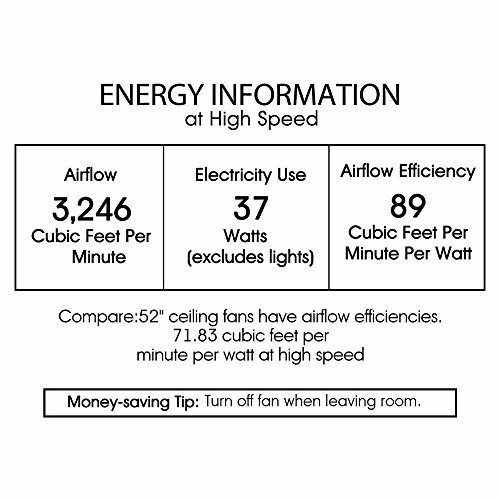 This is a very attractive piece best suited for taller ceilings.